The average person spends at least a third of their life sleeping—that’s a lot of time in the bedroom. Even though most of that time is spent with your eyes closed, a comfortable and stylish bedroom can make all the difference to the quality of your shuteye. If you’re looking to make your sleep area more of a sanctuary, here are a few design and furniture tips to help guide the transformation. No matter how big the space is, clutter will always make a room feel cramped and uncomfortable. To make tidiness easier, purchase ample storage furniture. In addition to nightstands and dressers, consider an armoire or storage bench at the foot of the bed. Swap plain white plastic blinds for window coverings that complement your decor. For example, if you want to set an earthy or rustic mood, you might upgrade to wood blinds. Curtains with valances add an airy, elegant feel to rooms. 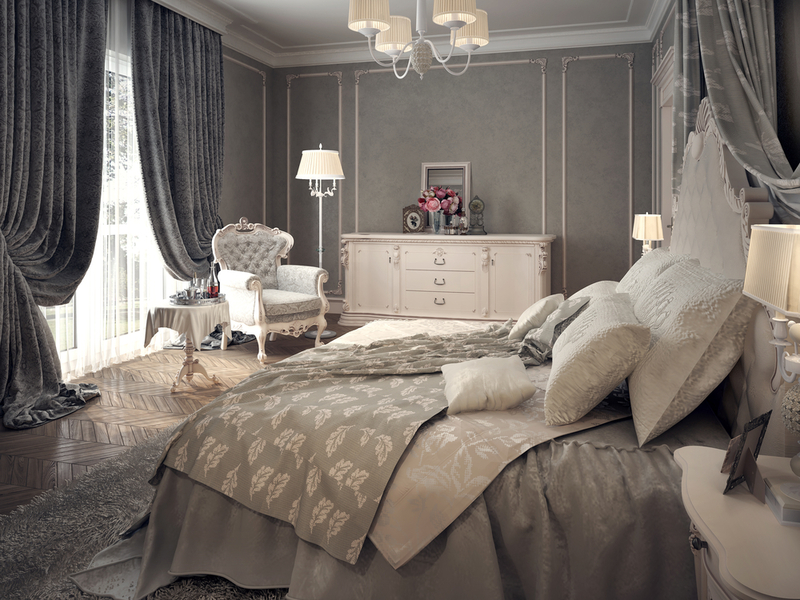 From a dim, romantic glow to bright, natural sunlight, every bedroom should have a variety of lighting options. Consider augmenting overhead fixtures with bedside lights or floor lamps in different areas of the room. Whether you need a better night’s sleep or more space to move around, a new mattress is perhaps the best upgrade you can make in the bedroom. As a bonus, use the new bed as an excuse to buy new sheets and pillows. It’s easy to note when your bedroom needs a fresh look—but finding the right pieces can be challenging. That’s why Mattress Plus More takes pride in ordering a wide variety of top-quality mattresses, furniture, and bedroom sets to customers in McKinney, TX. Whether you have traditional tastes or are searching for a more contemporary feel, this mattress store has stylish, quality furniture and accents at incredible prices. To learn more about their current selection, visit their website or call a friendly retail specialist at (972) 542-5727. Other Announcements, Events and Deals from Mattresses Plus More, Inc.